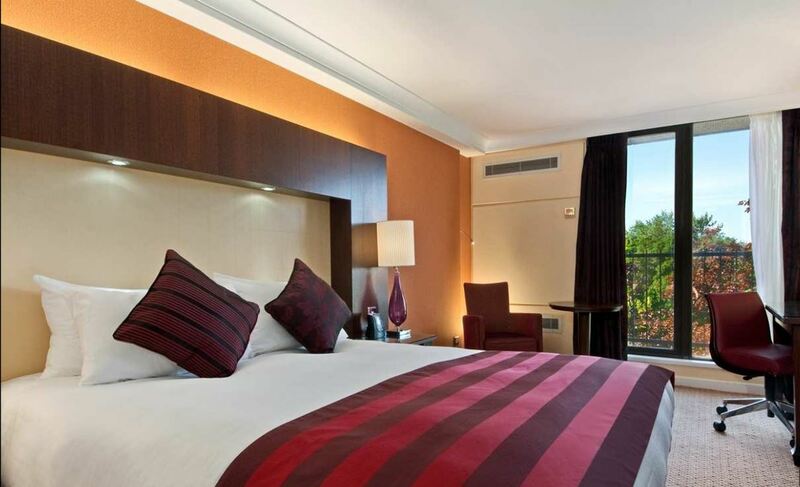 All the bedrooms and function space in the Hilton Birmingham Metropole are accessible friendly, with a range of other facilities available to meet your additional needs. In order to see a full list of features available, please visit the hotels amenities webpage. The hotel offers 20 accessible rooms with wheel-in showers, which include grab rails around the toilet facilities, higher level seating, emergency pull cord, and lower level storage. In order to request an accessible room, please contact the Registration Team. These stylish guest rooms are decorated with cool, calm tones, and are complete with modern amenities including Wi-Fi and flat panel cable TV. With air-conditioning you can control to your comfort, a spacious walk-in shower, and a large single bed, it is an ideal room for someone looking for space to themselves. With floor-to-ceiling windows allowing for copious amounts light, these twin rooms are bright and airy. 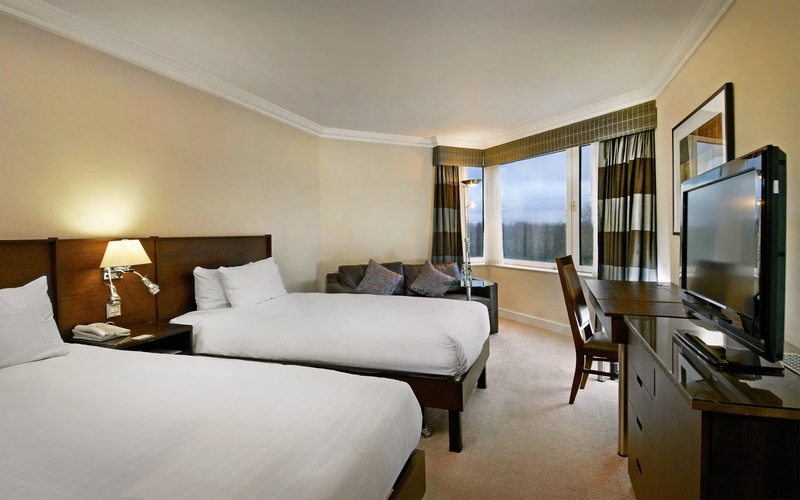 Complete with desk and easy chair for relaxing, and en-suite bathroom, this room, along with its two individual single beds, makes it a perfect room to share with a friend. Cable TV and Wi-Fi are also available on demand. 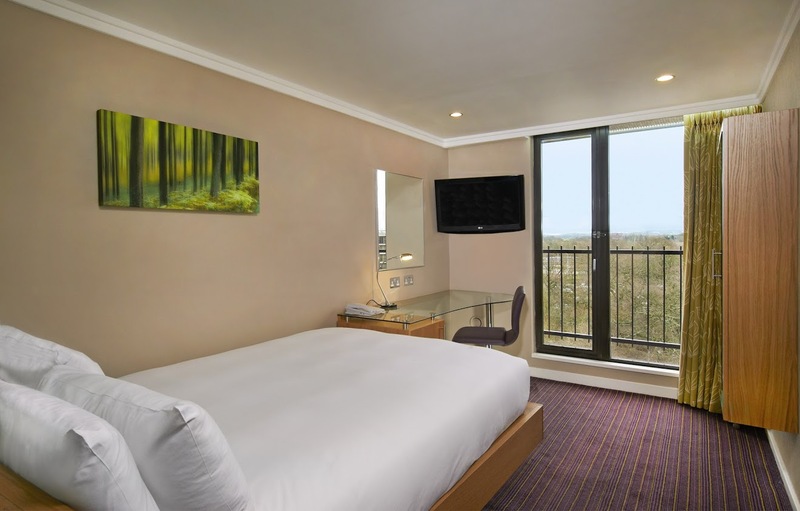 Bright and contemporary with large windows, and complete with desk and easy chair, the Standard Double rooms are ideal for those wishing to share with a friend or partner. In addition, the room has en-suite bathroom, access to Wi-Fi, cable TV, and air conditioning. Available upon request for upgrade is the Queen Executive Double. Bragging additional space over the Standard Double rooms, it comes complete with a sofa, easy table, desk, walk in shower, and air conditioning. With the upgrade package comes access to the Executive Lounge, which includes complimentary breakfast, and light refreshments throughout the day. This room is ideal for 2 people wishing to share. In order to be eligible for this room, you must be in an agreed share and both parties must agree to the upgrade. 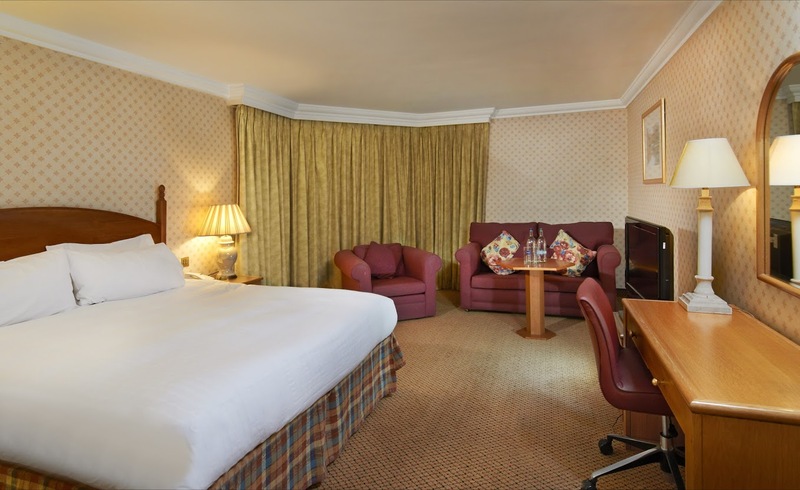 Ideal for those looking for some extra space, the Junior Suites comprise of a Large Queen size bed, with comfy chair and sofa. 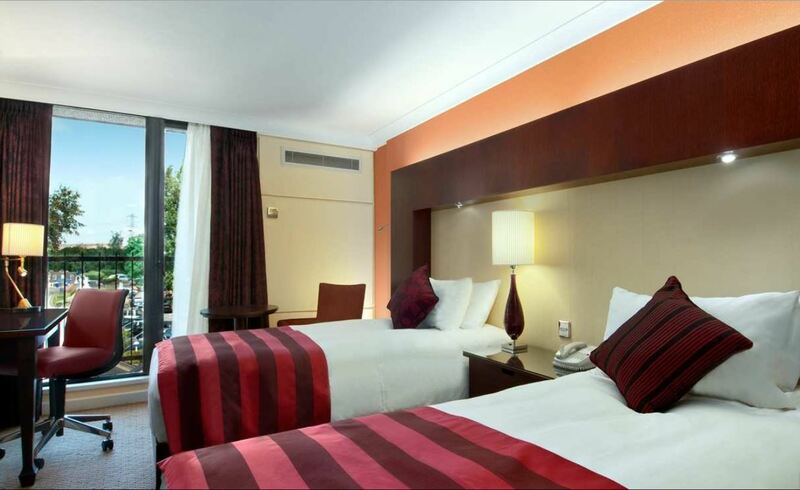 All the suites offer air conditioning, as well as Wi-Fi access and Cable TV. 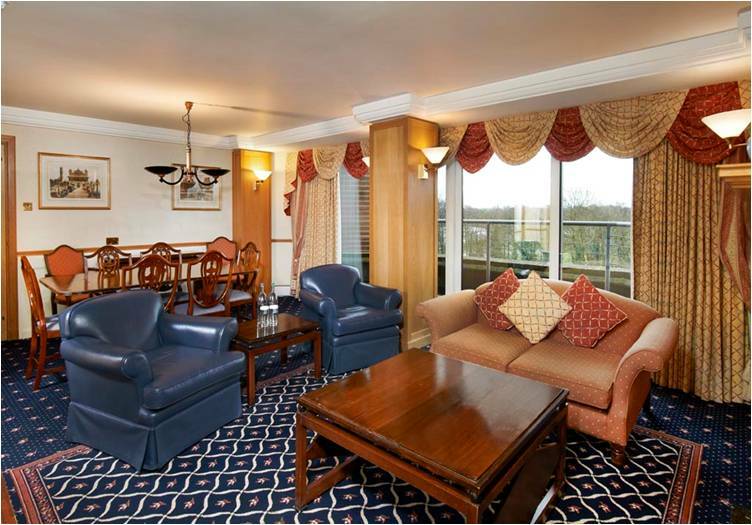 With this upgrade also comes access to the executive lounge, where you can enjoy light snacks and refreshments throughout the day, this room is a great way to treat yourself. In order to be eligible for this room, you must be in an agreed share and both parties must agree to the upgrade. Limited availability. The executive lounge is an exclusive members only space open to guests who opt for a room upgrade to one of the executive or suite packages, and other Hilton executive guests. 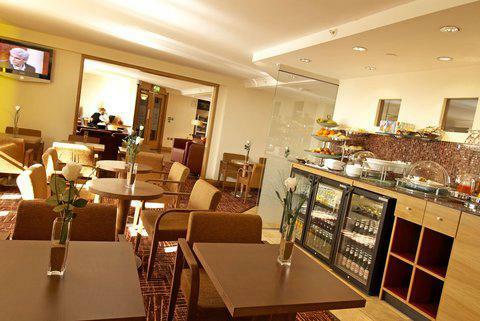 Open from 7am until 11pm Monday to Friday, and 7.30am until 10pm (with bank holiday service the same as weekend), you can head to the lounge at any time to enjoy light refreshments and snacks. Breakfast and afternoon tea are both available. Evening service is available from 6pm until 8.30pm Monday to Friday, and 6pm until 8pm Saturday and Sunday, during which includes complimentary alcohol. As the executive lounge serves food and beverages, this location does not permit fursuits. Please note that the hotel retain the right to refuse service to anyone that is seen to be exploiting the free drinks service, and remove you from the lounge. The party suites are back for 2015! On offer are 2x traditional style Kings Suites, available on Friday, Saturday, and Sunday at a significantly reduced cost of £200 a night. These rooms are ideal for those wishing to host a social gathering for the evening, and keep the party going until the early hours of the morning. The rooms offer a separate bedroom and living room, with dining table, comfy chairs and sofa. 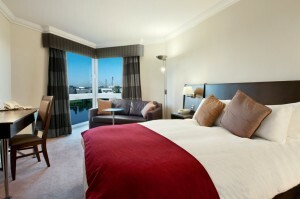 The bed is a spacious King Size, and the bathroom includes a walk in shower. Wi-Fi access and Cable TV are available, and the room is air conditioned. 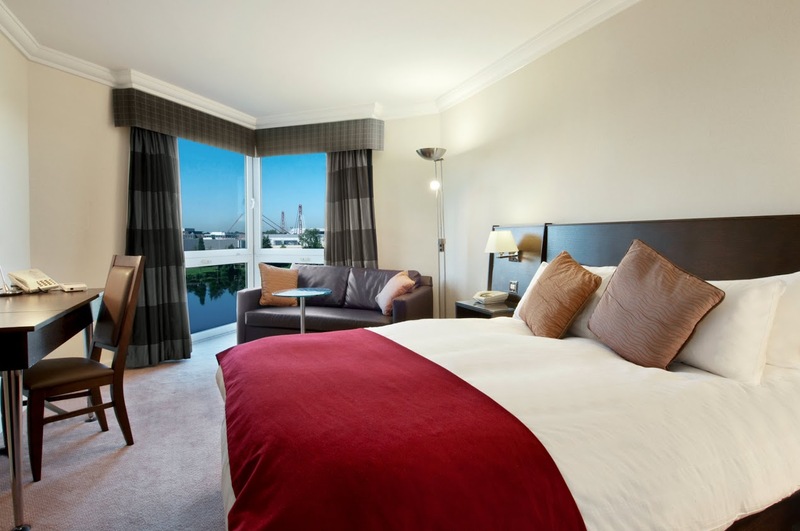 In order to be eligible to book a party suite, you must be fully registered and paid residential guest. 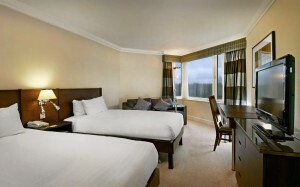 The room is subject to the same Hilton Terms and Conditions, and ConFuzzled Terms of Sale.